It’s really important taht your skibinding is set correctly to your ski boot. It is a simpel thing to do, and all you need is a screwdriver. The only thing I can ad is that most ski bindings I have seen the star shaped fasteners are posi-drive or philips. That screw driver he has could strip the fasteners as it appears to be a Reed and Prince (pointed and will bottom out in the hole) the first two mentioned are blunt so the star can engage better. Thanks for this video – perfect help for us to set up our daughter’s bindings! Very easy to figure out. Spot on. Thanks for putting the video together. Nothing better than being able to do your own work. I have an older pair of Rossignol FD65, and can’t find where to adjust the toe cup height. Set forward pressure first with boot in binding. Open and close several times to check FP is correct. Then with boot in binding pull boot back to make sure toe lug is against top of toe piece. Sliding paper is ok only for Marker Binding with multi sole toe. ISO 5355 and ISO 9523. Other Marker bindings with adjustible ISO 5355 toe require .5 mm clearance. Forward pressure adjust is different on Solomon Atomic Look Rossignol Tyrolia bindings. Also different if it is a system and not a flat mount. Also very critical is release setting which should be checked with a torque testing tool to be sure binding spring and boot sole release and correct value. Have that done at a ski shop. It cost about $20 for adj and release check. Congratulations !! Nice video but it is incomplete (In my oppinion.). You tell nothing about the numbers from the boots (317 mm for ex.) and nothing about numbers from the front and back part of the bindindings. Also you tell nothing about the sign from the midle of the boots and from the midle af the bindings. What role do they have and how should they fit ? Does it matter or does it not matter for you ? Well explained, however I had some problems fitting my Scarpa Maestrale to marker duke bindings. The piece of paper allways got stuck under. However this boot has a rubber sole. So I guess it is more sticky and maybe sligthly softer than boots that are not for touring. There’s sooooo much missing here. Measuring the thickness with a piece of paper is just friggin’ nuts too!! That’s one of the most critical settings to save a knee because of left and right release. As a ski tech we used a plastic slider that I can definitely say was thicker than a piece of paper because I did a comparison. So, I wouldn’t take this limited information to heart unless you enjoy knee injuries. thanks you helped me a lot l’m just a 9 years old kid! Don’t listen to this guy or any other of these youtube videos. They all leave out very important information and can just lead to injury or damage to your equipment. The people who do this at ski shops are professionals and are certified and trained, you need more than just a screwdriver to make sure your bindings release properly. 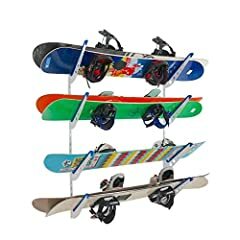 I’ve set up the same bindings exactly in this way, as recommended by Marker, with a pair of alpine ski boots Fischer RC4 at DIN 6 ,I’m 80 Kg and good skier so very light setting. Then I broke my acl simply because the bindings didn’t open properly, I tested again at home on the bench and I’ve found that the boot remained completely blocked in to the bindings requiring an enormous pressure to disengage due to the contact of the the boot sole with the anterior plaque between the clamps of the binding itself, It doesn’t happen with AT bindings, I’ve tried to release the forward pressure of the binding by elongating a little bit but the posterior screw was not in the correct position and the boot was not stable. Soit seems that there is a problem using these bindings with race alpine boots. Thank you. Clear and to the point. i do have question about mine bindings they have some number on it and the both sides(tip&toe) which serve for the adjustment of the boot size.it matters where my boot sits but i could not find a chart about it and hope you can help me ! I tried to do this paper-trick with my Jester bindings. After adjusting it so that the paper just barely can be pulled out, the boot is not tight in the binding. when I lean back the boot pops up in the front-piece, just couple of millimeters but still. And this only happens to one of my skies, which I find weird.. I should also add that the backscrew is flushed. So what I did was to raise the plate until it didnt pop anymore, but then ofcourse the paper is wedged in. Is that bad? any suggestions? I have Nordica Ace of Spades boots, pretty worn out, that could be a factor to the problem.. dunno. How do I adjust the AFD plate under toe of boot on Marker M900 EPS bindings? The plate is fixed and I can’t slide a piece of paper as recommended without tearing.